Highlights of the Sky Bet Championship match between Wigan and Stoke. Stoke's Joe Allen was closest to breaking the deadlock as his side played out a drab goalless Sky Bet Championship contest with Wigan at the DW Stadium. Neither side possessed the quality to break the deadlock, although both defended well enough to warrant their point. 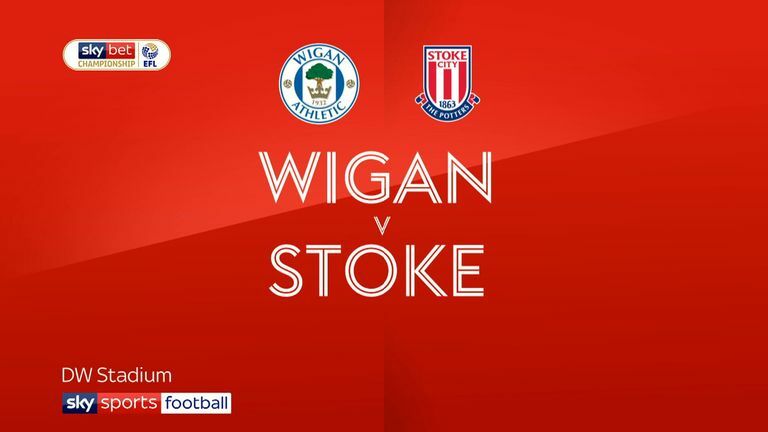 Stoke came closest to sneaking a winner at the end of the first half, with Allen's shot taking a deflection off Wigan defender Cedric Kipre, before kissing the outside of the post. 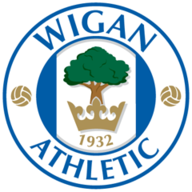 For Wigan, Reece James saw a fine free-kick at the beginning of the second period well saved by Jack Butland, and not even the late return of Nick Powell after injury could tip the balance their way. Wigan almost took the lead inside six minutes, with Michael Jacobs meeting a pinpoint cross from Nathan Byrne at the far post. Unfortunately, he could only steer the ball inches wide of the near post. Jacobs had another sight of goal moments later, playing a lovely one-two with Josh Windass, only for Butland to come haring off his line and make a good save. Chey Dunkley then headed wide from James' corner, and Stoke were struggling to gain a foothold in the game. 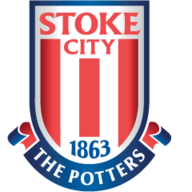 But totally against the run of play, the Potters were denied the only by the fingertips of Wigan goalkeeper Jamie Jones, who diverted away Sam Clucas' free-kick. Wigan were indebted to Kal Naismith for scooping away a Benik Afobe cross from under his own bar before the Potters were forced into an early change after Tom Edwards was grounded by a robust challenge by Leon Clarke, Moritz Bauer coming on in his place. Wigan continued to press with a James corner coming back to the on-loan Chelsea man, and his second delivery looked like it was on its way in at the far post, before being cleared by Danny Batth. But as half-time approached, Tom Ince got to the byline, and Allen steered the pull-back goalwards, only for the ball to take a touch off Kipre and flick the outside of the post. Wigan started the second period the stronger, with Butland parrying away a long-range strike from James. But the Potters were getting more and more encouragement they could claim all three points. Ince sent a shooting chance over the top, before Stoke sent on James McClean - the former Wigan man - for Afobe. The Republic of Ireland winger was quickly into the game, looking offside as he accepted a flick-on by Sam Vokes, before powering on only to drag his shot wide. McClean then skipped past Wigan substitute Gavin Massey - on for Anthony Pilkington - but his cross was in front of Vokes, allowing Jones to claim. Wigan threw on Powell for the last 15 minutes - his first appearance in almost three months - in an attempt to pinch a crucial win. Although the former Manchester United player struggled to get into the game, it took the alertness of Butland to keep out a Naismith free-kick and ensure honours ended even. Paul Cook: "It was a tough game, for both teams, and I thought a draw was a fair result. There were spells in the game when both teams tried to gain control, without either really managing to do that. Stoke certainly carry a threat, with the calibre of player they have, it's evident for all to see. "The game was just lacking that moment of magic from either team that would have won it "But all in all we'll take the point, every point in this league is gold. We've put ourselves in a position now where we can achieve what we wanted to at the start of the season." Nathan Jones: "On a normal day we'd be very, very frustrated we haven't won the game. But we're pleased with an away clean sheet, and an away point - that's the positives for us. "I thought we had enough chances - and clear-cut chances at that - to have won the game. But we are building, and we are a work in progress."